Here's a quick and dirty guide to the nicknames I use on Musings. I apologize that some of these pictures aren't the best. I'll update them as I get better ones. Writer of poetry, non-fiction and humor, editor of Wild Violet online literary quarterly, wife of The Gryphon. They live in suburban Philadelphia with their doggie, Una, and kitty, Luke. My husband, whom I began dating just after Otakon 2003 and married in September 2007, was nicknamed after the kind-hearted, wise character in The Alice in Wonderland who tells wonderful stories. Our son, when he was nursing for the first time, pulled my IV out with his strong Kung Fu action grip. After his first bath, the nurse brought him to us wrapped in a panda blanket, and a nickname was born. I guess you could say I've known her longer than anyone. My Mom is an amateur artist who loves animals and crafts, and she has a marvelous sense of humor. She loves to tell entertaining stories about our family. Perpetually optimistic, my Dad is an osteopath. He shares my interest in pop culture, keeping current on today's music and movies. My sister, a family counselor, is one of my best friends. We talk to each other frequently on the phone, although we live hours apart. Although he might seem quiet at first, my sister's husband shares her absurdist sense of humor. Like me, he's got eclectic taste in music, and I'm always learning new things from him. One of my best friends since childhood, my brother and I share tastes in a lot of categories. He lives in Vermont with his wife and two small children (who change so rapidly there's no point in including photos here). A fellow writer, my brother's wife balances time between her wedding photography business and my nephew and niece. He's part of my Philadelphia circle of friends and also a fellow Otakon staffer. His name comes from a story he tells of how he once quit a thankless job, then climbed up on his desk and declared, "I am Batman." Fellow Penn State alum and member of the Penn State Monty Python Society (MPS), he also wrote and produced comedy for my WPSU radio show. He suggested this nickname after I started using names from Alice in Wonderland. Because she's the cousin of one of my closest friends, The White Rabbit, many people still think of her as his cousin. She's the wife of The Photographer, and they have two teenage daughters. A friend from college and fellow member of MPS, I named him The Dormouse when I started using names from Alice in Wonderland in my write-up of Otakon 2003. He rescued me from the Pool of Tears. Another Penn Stater/MPS member, I gave him this nickname because he's frequently a participant in the mad tea party that is my Philadelphia circle of friends. The wife of The Cheshire Cat is also a Penn State alumna, although we've gotten to know each other better since graduating. She's named after a character in one of her favorite anime series, Read or Die. We met my freshman year at Penn State and became fast friends. We were in MPS, and I've always loved his silly form of humor. He's the White Rabbit both because he's known to overextend himself, like at Otakon, and because it was through him I met many of my Penn State friends. I met him through The Gryphon. 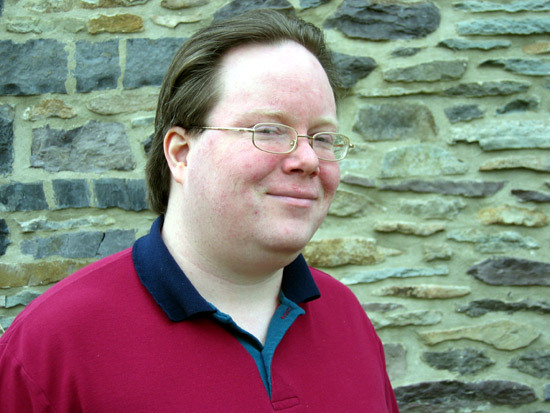 He's involved in both Philcon and Philadelphia Area Gaming Enthusiasts (PAGE). Although it's not his day job, he often takes roles in regional theater or serves as an extra in movies. A fellow graduate of my Dad's medical school, the two of them got to know each other again by attending medical conventions and have since started dating. A Penn State alum who lived for many years in Philadelphia with his wife, The Costumer. They've since moved to Northwestern Pennsylvania with their young son. He nicknamed himself after the character from The Matrix. A good friend of The White Rabbit, he is known for his creative Anime Music Videos (AMVs) and also runs a podcast for fans of anime. A dynamic science-fiction writer whom I met through Philcon, she has edited several volumes of science-fiction short stories and is unflagging in her efforts to market them. She is married to The Military SF Author. 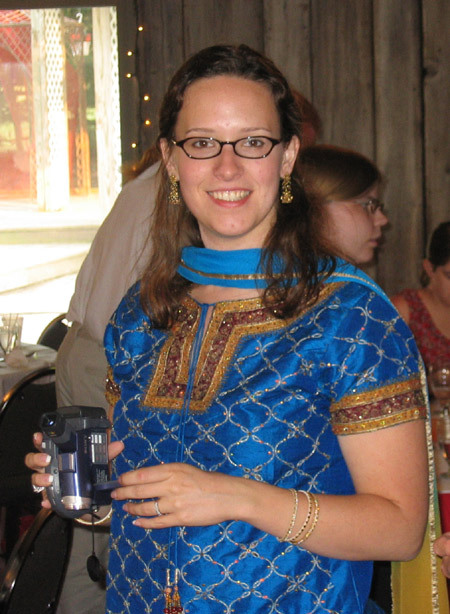 A friend from my Penn State days, whom I met between undergrad and grad school. While she works in computers now, she's also a very talented artist. She was the co-founder of my online lit mag, Wild Violet. A Virgo like me, he's a practical-minded guy with a wry sense of humor. As soon as The Artist introduced him to me at a dinner party, I knew he was the one for her. A fellow member of the Penn State Monty Python Society who also was on the staff of my radio show on the campus radio station, WPSU. He is renowned for his affinity for puns. She was Attila the Pun's high school sweetheart, and they have been happily married since shortly after he graduated. They now have two young children, a boy and a girl. She is an art therapist working with disabled children. A family friend dating back to childhood. Her name comes from the fact that her children had nicknamed my parents Uncle Broccoli and Aunt Bean. She is married to Uncle Squash. A friend of some friends of ours, he makes fantastic balloon creations to liven up parties. I've gotten to know him since he started sharing an apartment with our friend, Batman. 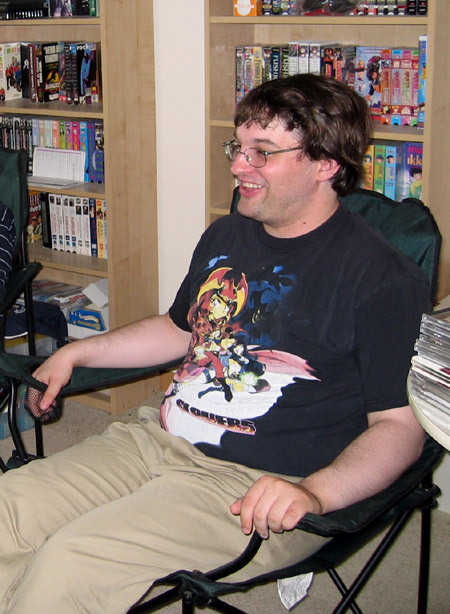 He enjoys gaming and is involved in Otakon. The head of Otakon Press Relations in 2007, this affable guy has striking blue eyes which contrast to his almost black hair. Half Brazilian, he spent two years in that country while doing his grad work and is proud of his heritage. He now lives there full-time. A fellow Otakon staffer with a wry sense of humor who also serves in the military. He typically works with the Treasury Department at con, and with his height and muscles is an ideal person to act as their unofficial security detail. When we gave her a bridal shower, we didn't have to think about what to get her: a Barnes & Noble gift card! She's an avid reader and mother of a young son. Her husband is The Martial Artist. I've gotten to know her through her involvement with Philcon, a science-fiction convention in Philadelphia. We have a lot of mutual friends. Her nickname comes from her fondness for the Joss Whedon series, Firefly. A high school classmate who has since become a lawyer and is involved in the county Republican Party. He once ran for the House of Representatives but hasn't run for office again since. We met within the first couple weeks of school, because we kept showing up at the same club meetings. We were destined to be good friends. She and her young son live in the Philadelphia area. One of the so-called Four Fathers who started Otakon, he's a Penn State alumnus who has remained an invaluable part of the convention operations. A fellow Otakon staffer, her nickname comes from her love for her pet Corgi. She's married to The Minion. I've gotten to know The Cosplayer, so named because of her many years of involvement with costuming at various anime and other cons, through our work with the Otakon Publications Department. She's a hard worker with a wacky sense of humor. 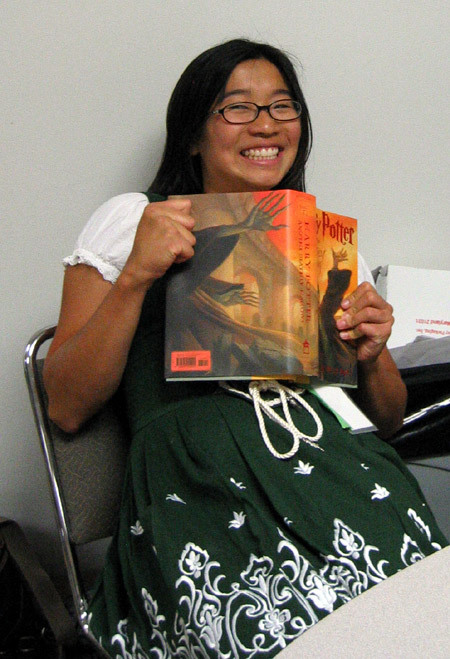 In 2007 and 2008 she headed Otakon Publications. Fellow Penn State alumna and Otakon staffer, she and her husband, Agent Smith, live with their young son in Northwestern Pennsylvania. While they lived in Philadelphia, he took charge of costumes for a community theater. A good friend from college, he'd be mentioned much more frequently if he lived closer. Like me, he's a former president of the Penn State Monty Python Society, and he's quick witted. He currently designs video games. A good friend from college who was one of my bridesmaids for my first wedding. She's a fellow writer and an avid cyclist. We lost touch for a while but recently reconnected. A Penn State alumnus, he's hung around with some of my closest friends for years. I nicknamed him after his tendency to argue unpopular points of view, in the interest of advancing conversation. A friend of The Gryphon's from Philadelphia Area Gaming Enthusiasts (PAGE), I named him after a Halloween party I attended, where he was spinning tunes while dressed as a doctor. Prominent in Philcon, she's got a bubbling laugh that you can hear from another room. Fellow Otakon staffer Doc goes by this nickname online. I was program book editor under him while he headed the Publications Department several years ago. He's since been Otakon con chair and head of Industry Relations. I met her through Otakon and has gotten to know her much better in the last few years. Despite this silly pic from Otakon, she's just completed medical training and certification. She and her husband just had their first child. Married to Dr. No. 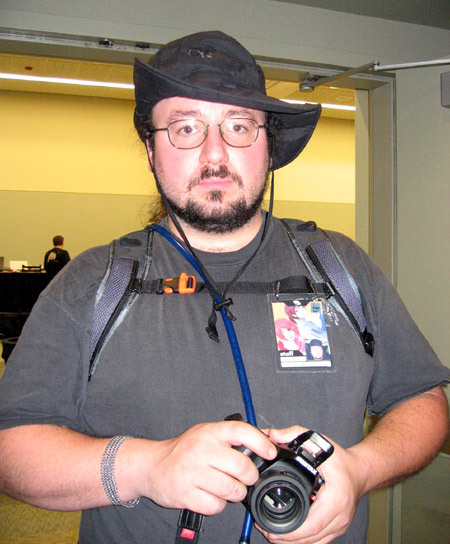 Also an Otakon staffer, he's held many responsibilities over the years, including running Gopher Ops. He's married to The Doctor. Although I originally met him in State College through my brother, he shared a house for many years with my sister, which is when I got to know him better. A D.C. lawyer, he still makes time for his passion, music. She met The Drummer when he was playing backup for a singer friend of hers, and it was attraction at first sight. She's a paralegal in the D.C. area. A friend of The Gryphon's, she has worked for several publishing companies and shares interested tales of her experiences shepherding books to print. I met her through her husband, Kapow. They both are Otakon staffers and friends of The Cheshire Cat. She's named for her love for the Winnie the Pooh character. While we were in the Penn State Monty Python Society together, she helped me with the club newsletter. Since then, she's gone to medical school and was working as a ER doctor when I nicknamed her. She and her husband have two young boys. He also attended Penn State, although I didn't meet him back then. A talented musician, he associated with people I knew from the Penn State Blue Band. He and his wife have two young boys. A fellow Otakon staffer, he used to run the Guests Department with his identical twin brother. Since his brother was the one that actually ran the department, he jokes that he's the evil twin. A high school classmate who played field hockey with me and who is now a teacher. 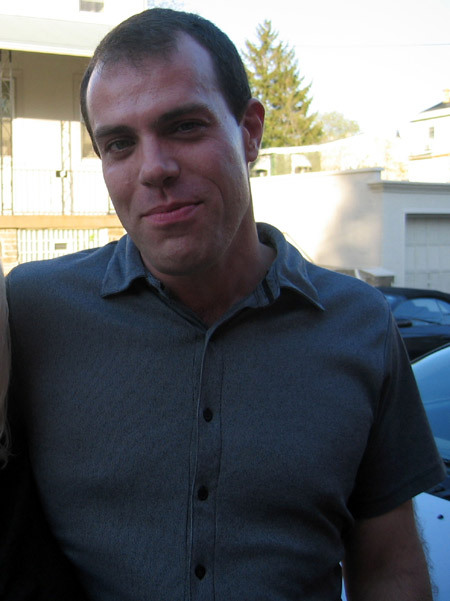 An outgoing member of the SF fan community, he has directed and acted in short films and plans to do more. He is another Philcon staffer, and when I first met him, it was at a Halloween party, dressed like a pirate. A high school classmate who was the best flute player in our marching and concert bands. A friend of The Cousin's whom I've spoken with at a few parties and interviewed for my wedding book. The Cousin suggested this nickname because of her tendency to bring fruit to potlucks. She's married to The Quiet Man. A fellow Otakon staffer and fellow Penn Stater whose first choice of recreational activity is to play a game. Also an Otakon staffer, she shares many of The Gamer's interests. She's a soft-spoken, reserved sort of person. A friend of The Gryphon's who develops primarily military-based strategy games. We usually only see him once a year at Philcon, which is where the two met. A Penn State alumna and Otakon staffer, she was my boss when I worked in Registration at the convention several years ago. 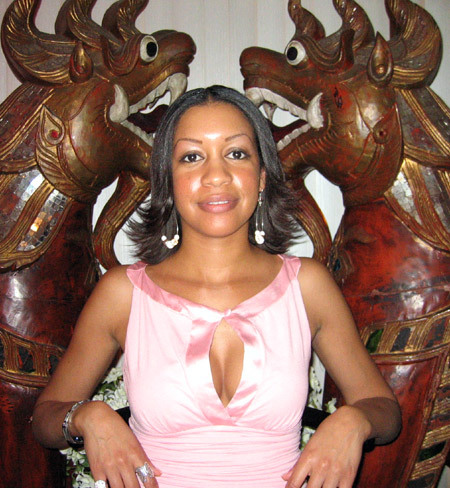 She has been actively seeking out information about her family's history and always has colorful stories to share. 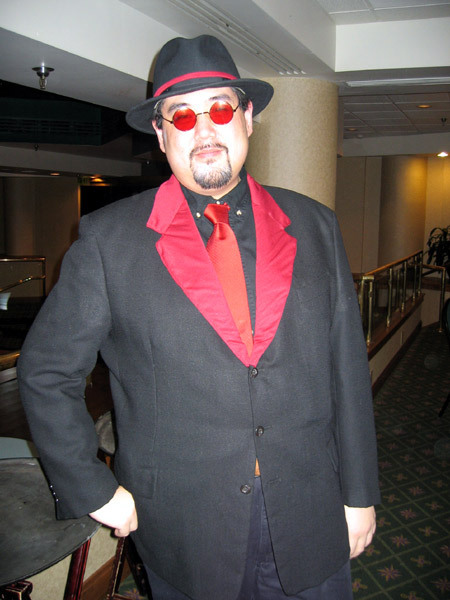 I have enormous respect for The Godfather, an affable guy who has served as 2006 Otakon con chair and the 2007 head of Guest Relations. Because of his natural leadership abilities, his height, and his habit of talking with his hands, I thought this nickname suited him. An Otakon staffer who served with me on Press Relations staff in 2008. He was also once a gopher under me in Registration. He's named after his major in college, Golf Course Management. 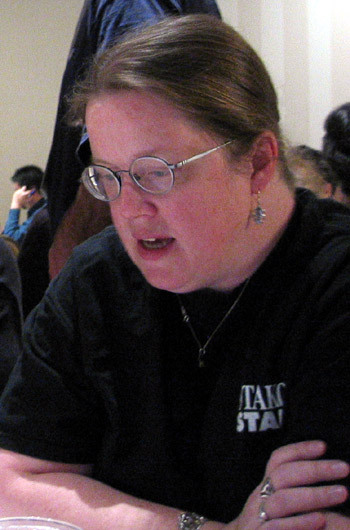 A member of Philadelphia Area Gaming Enthusiasts (PAGE), she also attends Philcon regularly. She's appeared in a video for a Goth musician and frequently wears a black corset at conventions and costume parties. When I first met him at a Halloween party, he was dressed like Bacchus, and at the next Halloween party, like the green man. I gave him this nickname before I realized it was his online handle, as well! His SO is The Linguist. An Otakon staffer who works in the Guest Relations department, primarily escorting guests around the con. He's also a pop culture junkie. A high school classmate who was in my homeroom from middle school through senior year. He served in the Gulf War, then worked in a prison and is a brain cancer survivor. 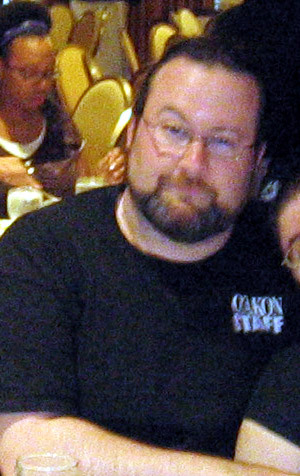 An Otakon staffer who has worked his way into the top echelons of the organization, serving as Con Chair in 2008. He's dating Vyxle and shares her wacky sense of humor, as evidenced from this photo. 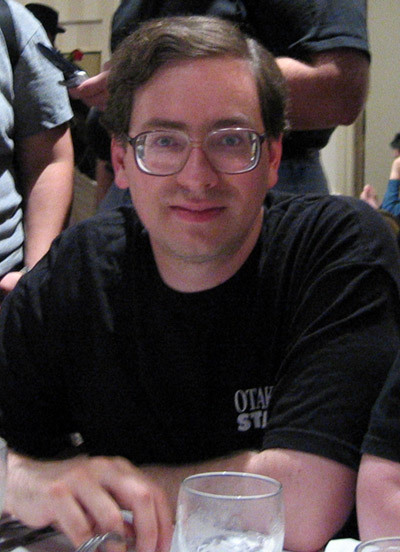 One of The Gryphon's friends from Philadelphia Area Gaming Enthusiasts (PAGE), he also helps program the horror track at the Philadelphia Area Film Festival and volunteers for Philcon and other conventions involving film, science fiction and pop culture. He's married to The Seamstress. One of the sweetest people you'll ever meet, she's a fellow Otakon staffer who has worked in the Staff Suite for years, seeing that staffers eat, giving them fun candy, and making people's day with hugs and a cheerful smile. A friend I met through the ComedySportz improv classes we took together. We were frequent scene partners, and we have remained friends since then. Since our Kung Fu Panda was born, she's been very helpful with babysitting. Since he has a real aversion to cameras, I have no recent pics of him. We dated for a while and have remained friends since then. I will never forget his inspiration and support when I began working on my physical and mental health. He's named after the protagonist in the Ralph Ellison novel. A neighbor whom I initially nicknamed The Rasta Guy because of his dreadlocks. We recorded some spoken word and jazz tracks together, which are slated for a spoken word album. Kapow doesn't have an aversion to photos: I simply don't have a good one. I met him through The Cheshire Cat, and he's since joined the staff of Otakon. He's married to Eeyore. We were great friends in my nursery school, and used to hold hands every day, but we went to different elementary schools and high schools. He and another high school classmate of mine are now good friends. Even if I had a decent picture of her, it would be outdated, since she recently had her hair cut much shorter. She's another friend of The Gryphons from Philadelphia Area Gaming Enthusiasts (PAGE). She often knits, even at public gatherings. I met him when he was The White Rabbit's roommate at a house in the Philadelphia suburbs many years ago. He's a perpetually cheery guy who loves to make people laugh with silly hijinx. Since she's the quieter member of the couple, it took a while for me to come up with a suitable nickname. When I was interviewing her for my wedding book, I discovered that she enjoys putting together beautiful scrapbooks commemorating her family's history. I dated him for four and a half excruciating years spanning undergraduate and grad school, and he haunted my dreams for years later. He was a controlling, emotionally abusive drain on my spirit. I'm glad I finally got free of him. My Dad's medical school buddy, he's always making jokes and starting shenanigans at the annual medical convention. Here's a rare picture of him sitting still. She and The Life of the Party have been married since he graduated from medical school with my Dad. We see them every year at a medical convention. I look forward to seeing her each year at my Dad's medical convention. She's an artist and teacher, and we always have a great time talking. I met her through The Gryphon and the SF community in Philadelphia. She recently went back to college to study linguistics. Her SO is The Green Man. A manipulative, abusive ex-boyfriend who cheated on me (twice), stole from me and gave me a permanent eye injury. Needless to say, he deserves his nickname. A fellow Penn Stater and Penn State Monty Python Society member. He has a marvelously bizarre sense of humor and an enviable collection of toys and collectibles. 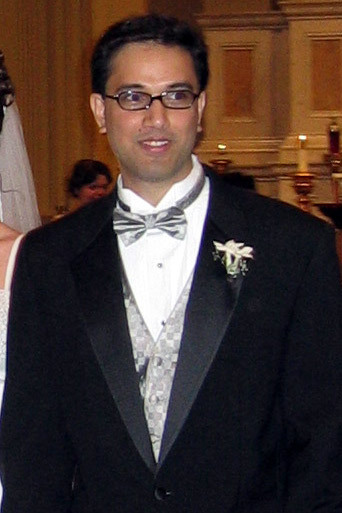 A Penn State alumnus, he gained his nickname from a costume he wore to a Halloween party in 2001. Not only did he wear a uniform from his actual karate class, but he demonstrated excellent form. He's married to The Book Lover, and they have a young son. 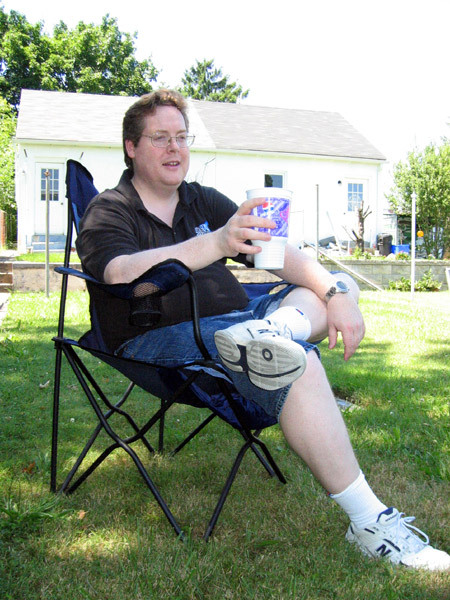 He's the husband of one of the members of Philadelphia Area Gaming Enthusiasts (PAGE). We attended their housewarming, where I got this pic of him at the grill. A friend of The Gryphon's and fellow member of Philadelphia Area Gaming Enthusiasts (PAGE). 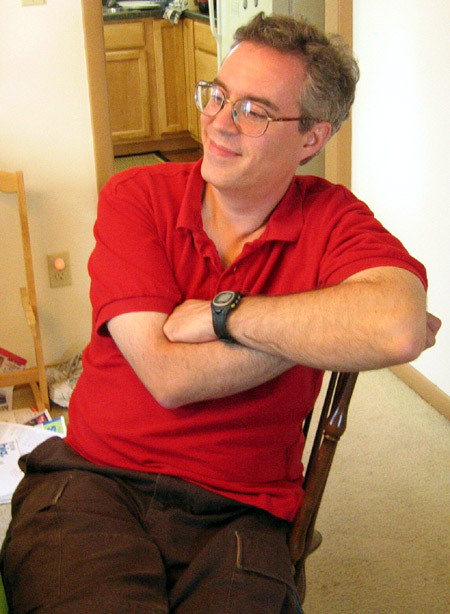 He writes and illustrates SF and games, primarily with a military focus. He is married to The Anthology Editor. A fellow Otakon staffer and the 2009 Con Chair, he acquired this nickname when he was considerably further down the chain of command. He's married to The Corgi Mama. A fellow Otakon staffer I first met while she was helping The Gryphon at the Info Booth. She is a bubbly, fun woman. An old friend of The Plushie's, she is an Otakon staffer who helps with LARP. A high school classmate who played the flute in the marching and concert bands with me, and who was multitalented in the arts. A high school classmate who was artistically talented and dressed in very colorful, creative outfits. He's now working in industry in Colorado. Two of the regular attendees at my dad's annual medical convention, who often sit at our table with us. I don't have a picture of Mrs. Doctor, but this couple are both physicians. An Otakon staffer who loves to cosplay, often as characters from Card Captor Sakura. We bonded over our mutual fondness for Hello Kitty. A fellow Penn State Monty Python Society alum and current Otakon staffer. He got his nickname from his characteristic mutton chops. A fellow Penn State Monty Python Society member whose outstanding feature has been his ever-present smile. He also did a mean Roy Orbison imitation back in the day. An Otakon staffer who worked under me on Press Relations in 2009. Previously, he'd worked in Spec Ops. He loves music and plays several instruments in addition to knowing computers and being a SF/anime fan. I have hung out with her at the annual Girls Weekend Out, and gotten to know her much better over the years. She's currently studying environmental science in Colorado. He's won many hats at Otakon, including this bunny hat that was presented to board members in 2007. Though I'd known him for years, the first time I worked with him at con was on the Press Relations staff in 2008. His day job is serving as producer for a Vietnamese news network. She was a member of the Penn State Monty Python Society who occasionally improvised little scenes with me. Since then, like me, she's taken an actual improv class and loved it. The pastor of my parents' church and close family friend, she married The Gryphon and I. Always passionate about computers, he has moved all over the country since graduating from college and held a number of jobs in the industry, including programming flight simulators. Shy about pictures, the pastor's youngest son is currently finishing up his college courses. I met him through his wife, The Cousin. 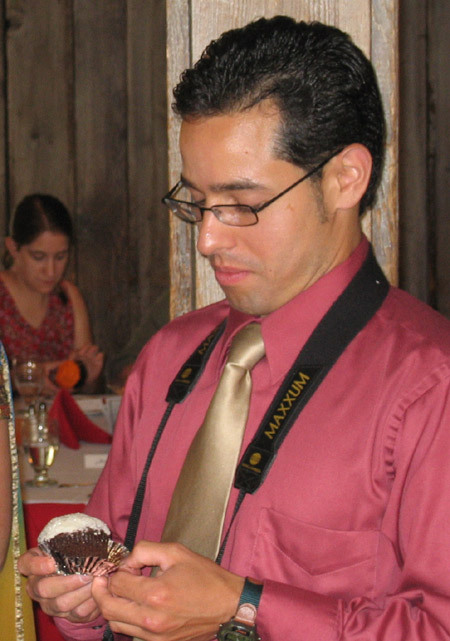 He photographed the wedding of The Gryphon and I, and while he's not a full-time photographer, he frequently takes industrial photo assignments. He and his wife have two teenage daughters. This is the hat that earned him his illustrious nickname. It was given to him by the board the year he served as Otakon con chair and he good-naturedly wore it at the con. We've affectionately called him Pimp Daddy ever since. I met him through The Gryphon, who knew him through Otakon. A self-proclaimed "conversation assassin," he says outrageous things that stop people in their tracks. He's brash and tough-minded, just like a pirate. A petite Otakon staffer who helps with LARP. She's a very affectionate person who reminds me of a huggable Valentine's Day bear. My best friend from grad school at Penn State, where we both earned MFAs in poetry. He's one of the most talented poets I know and also is a great guitarist and songwriter. The king of pop culture trivia, he has an uncanny memory for facts about his favorite (and least favorite) movies, TV shows, comic books, and more. 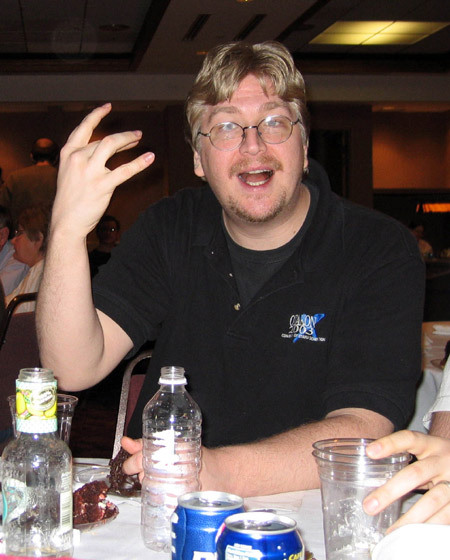 For several years now, he's run the anime track at Philcon. An Otakon staffer I worked with in Registration and in Press Relations (which she headed in 2008). When the seventh Harry Potter book was released, she wore a Slitherin uniform and bought it at the first opportunity. A college friend and fellow MPS member, now a teacher in Maryland. For many years, he's also helped at Otakon. No surprise, given his nickname, that he is renowned for his love of puns. The News Producer's cousin, he often works with him at Otakon. We worked together in Press Relations in 2008. I'm referring to him by a family nickname. The husband of The Fruit Lady, this soft-spoken man is a friend of The Cousin, who suggested this nickname. This is the best picture I have of him, which seems a bit appropriate, given the nickname. An Otakon staffer whom I first met when he helped to run Gofer Ops. He then moved into Press Relations under my leadership and in 2011 took over as head of Press Relations. For his regular job, he works at a nuclear plant. 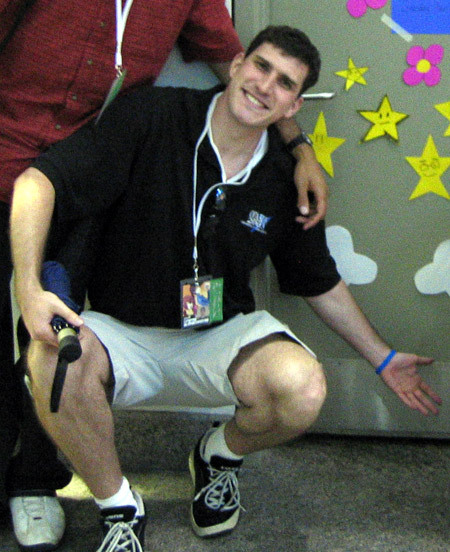 We worked together in Press Relations at Otakon 2008. I nicknamed her after her penchant for wearing colorful, layered clothing with rock T-shirts. Another person who doesn't enjoy having her photo taken, so I'm not including one. A member of the Philadelphia SF community, she helps run Philcon and, as her nickname implies, is a talented seamstress. Her husband is The Horror Film Buff. My first husband, whom I met during my hippie days. We were divorced by our second anniversary, partially because he suffered from mental health problems but also because we had different goals in life. He was very interested in pagan religions and last I heard had become a Hare Krishna. A member of the Philadelphia SF community, whom I met through socializing with that group. I nicknamed him for his amazing dance abilities, which he often shows off at parties. An Otakon staffer and also a performer at a Renaissance Faire, he's skilled enough at jousting to have earned the title of knight, hence the nickname. A friend of The Gryphon's who has been studying the art of the Japanese tea ceremony for many years and regularly participates chakai, or "tea meetings." They began seeing each other several years ago and bought a house together in suburban Philadelphia in 2008. A friend of The Gryphon's from college, she was one of my bridesmaids at my wedding. Her job involves installing systems for companies, which takes her all over the world. One of The Gryphon's friends from Philadelphia Area Gaming Enthusiasts (PAGE). She participates in a number of the role-playing games he runs, and we also see her at Philcon and multiple social events. This is her LJ nickname. 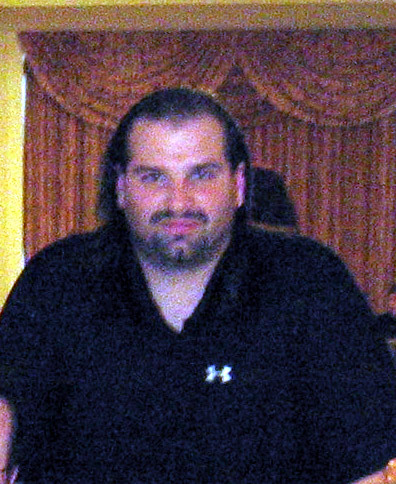 For several years, he served as the treasurer for Otakon and continues to work for the treasury at the convention. 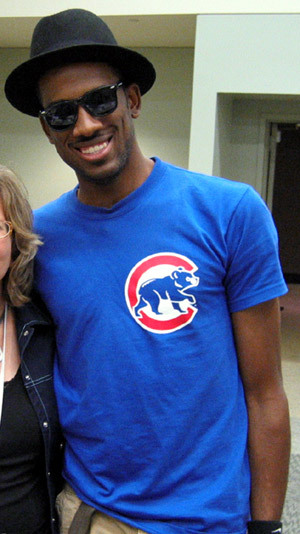 He also hangs out with many of my old friends from Penn State and is an alumnus from before my time there. A high school classmate and fellow member of the marching band who graduated first in our class. A high school classmate who was in the marching band with me and attended my church. An Otakon staff member who has translated for the convention for years. He can often be spotted playing his favorite instrument. Guests which one? My father's best friend from childhood, who was like family. The name comes from the fact that his children nicknamed my parents Uncle Broccoli and Aunt Bean. He's married to Aunt Corn. Part of The Gryphon's circle of female friends. She's frank, independent and rarely glimpsed. A good friend of The White Rabbit's, he only recently started helping at Otakon. 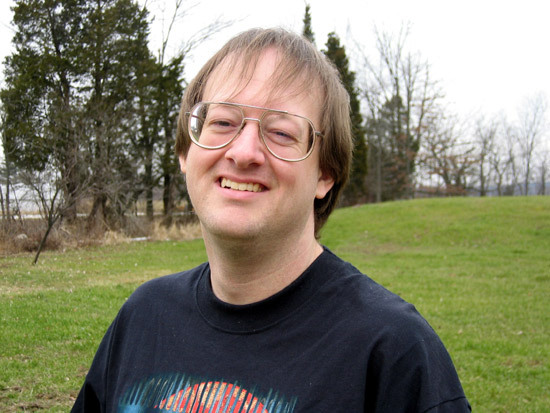 For years, though, his fan parody videos have been a popular part of the programming. The brother of Uncle Squash, my father's best childhood friend. I only see him rarely, because he's constantly moving, having just retired from a military career. Quiet, soft-spoken and rarely glimpsed, just like her husband. Another Penn Stater, though from before my time at the university, for many years he has done voicework for Otakon, earning him the nickname, The Voice of Otakon. 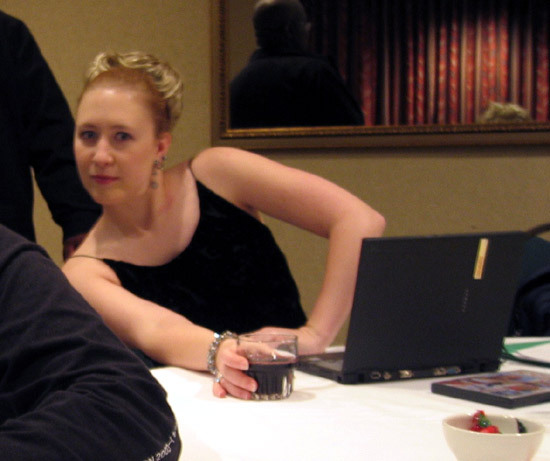 Indirectly, she was responsible for The Gryphon and I getting together, because she was my roommate at Otakon in 2003, and was sitting near him in Con Ops. I walked in to talk to her and ended up hitting it off with him! We took an English class together when we were both attending Penn State, but I've gotten to know her better in the years since then. I call her The Warrior Princess because she's such a strong, independent woman. I named her after her participation in a Baltimore area community water ballet company, Fluid Movement. Intelligent and reserved, she's a fellow Otakon staffer. A fellow Otakon staffer who gets his nickname from his love of all things Dr. Who. A friend and fellow Penn State alum who shares my interest in British comedy and music. She spent a semester abroad in Manchester and has taken little jaunts all over the globe.